Born in Tortona, Italy, 9th November 1961. Diploma for five years of study in piano, theory and solfeggio from the ”A. Vivaldi” Conservatory of Alessandria; studies in harmony and jazz improvisation with Maestro Umberto Petrin; advanced studies with the American arranger Mark Harris, with the pianist Antonio Faraò and with Maestro Massimo Maltese. Teacher of modern music at the “Città di Stradella” Music Academy (PV), at the community music school “G. Sacerdoti” of Voghera PV) and at the “Nota Blu School” of Tortona (AL). 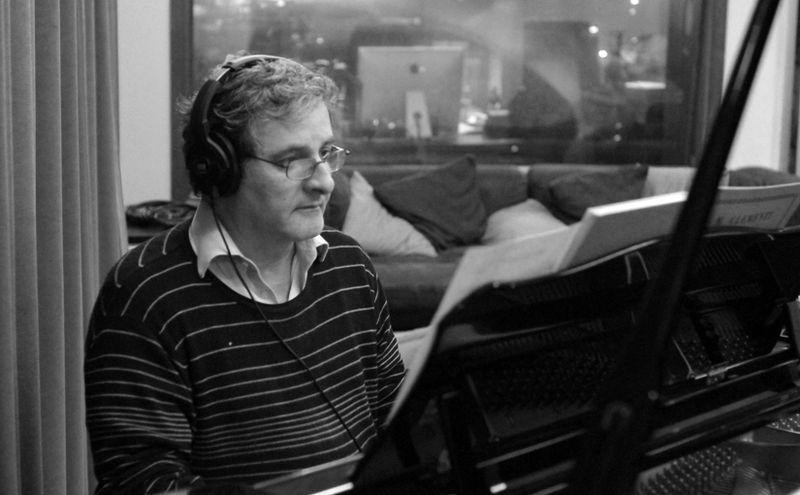 Work as an arranger with the record producer Gianni Daldello. Composition of various arrangements for the RAI 2 programme “Ci Vediamo in TV”, conducted by Paolo Limiti and for the CD of Tiziana Rivale “Angelo Biondo”. Work as a pianist and arranger for the production of four CDs of the opera “Mogol musica e poesia” (40 songs sung by the best students of the C.E.T., a well-known school founded by the author Mogol himself). Preparation of the music for a documentary with the title “Roadaway for Africa” for the RAI. 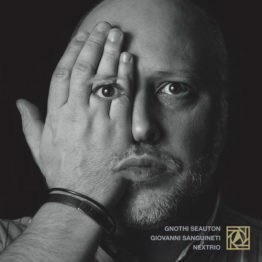 In February 2005 the first album under his name came out in a trio with Marco Ricci, bass, and Massimo Pintori, drums, with the title “Songs”, in which there are pieces of his own work as a composer and themes from H. Mancini, R. Ortolani and M. Fabrizio, produced by Abeat Records and distributed by IRD. In 2006 with the bass player Yuri Goloubev and the drummer Marco Zanoli he formed a new trio, the “Private Tales”. With this trio he recorded a new album with the title “Private Tales”, the name of the group, which was recently published and produced by Abeat Records. This trio has had a certain degree of success, both from the public and from professional music critics at various important jazz festivals in Padua and Piacenza. At almost the same time he started working together with one of the great stars of Italian jazz, the saxophonist Claudio Fasoli, by joining his new group “Quartetto Emerald”. “Promenade”, the first album of this ensemble, published in May 2007 by Comar 23, recently obtained excellent reviews in Musica Jazz and Jazzit. Together with this new group he has played in Casa del Jazz in Rome, at the jazz festival Musica sulle Bocche (S. Teresa di Gallura), at the Valsugana Jazz Fest, at the Siena Jazz Festival and in Roccella Ionica. In 2009 the second album of “Quartetto Emerald”came out with the title “Venice Inside” and in 2010 the album “Reflections”, edited by Blue Serge, was produced. He has recorded together with the saxophonist Claudio Fasoli a piece as a duo with the title “Raw”, which will be part of a compilation on the theme of war. It will soon be published by Amirani records. He has worked together on the recording of the album “Res Nova” by the new talented Italian jazz musician Mattia Cigalini with Yuri Goloubev and Tony Arco. He took part in the 2011 edition of Umbria Jazz by playing at the Teatro Pavone with the Claudio Fasoli quartet and then with Mattia Cigalini “Res Nova”. At the moment work is in progress for the music of a new album for a trio. The more important musicians with whom he has played together are: Paolo Fresu, Roberto Martinelli, Massimo Manzi, Paolino Dalla Porta, Piero Leveratto, Riccardo Fioravanti, Attilio Zanchi, Gianni Cazzola, Tullio De Piscopo. Tony Arco, James Calderazzo, Andrea Dulbecco, Fabrizio Bosso, Emanuele Cisi, Givanni Falzone, Claudio Fasoli, Mauro Negri and Tino Tracanna.